I had some amazing teachers growing up, and now my kiddos do, too. Say thanks by giving them one of these homemade crayon wax candles to show your appreciation. 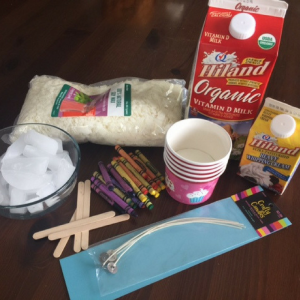 These candles are creative, fun and made with … wait for it … ice! 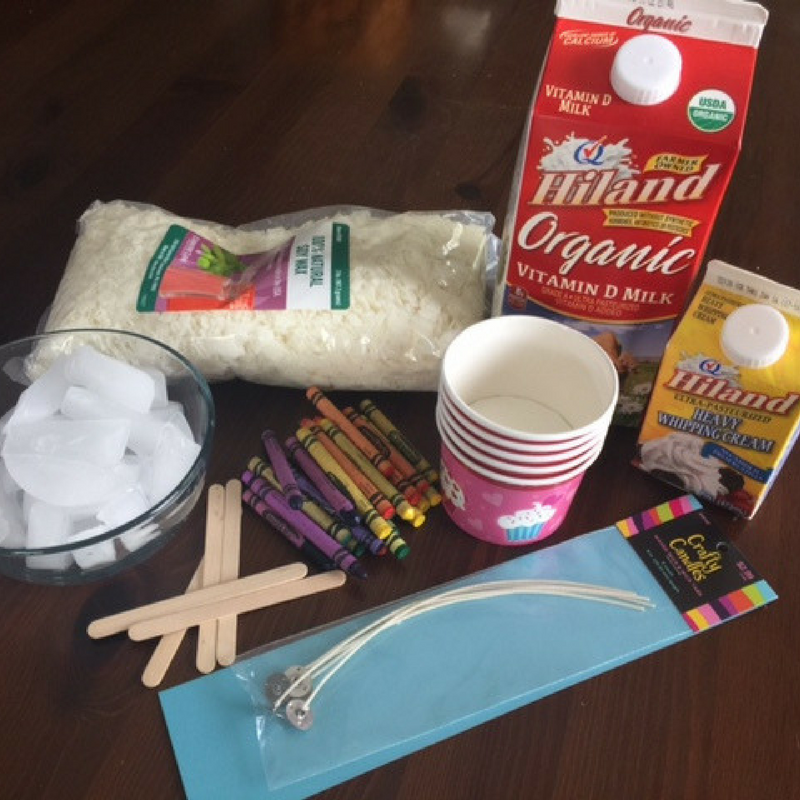 You read that right, pour melted wax over crushed ice in empty Hiland Dairy cartons and the results are amazing. Rinse each carton with warm, soapy water. Allow to dry completely. 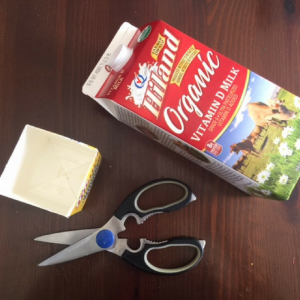 Using scissors, cut off the tops of each carton to the desired height. 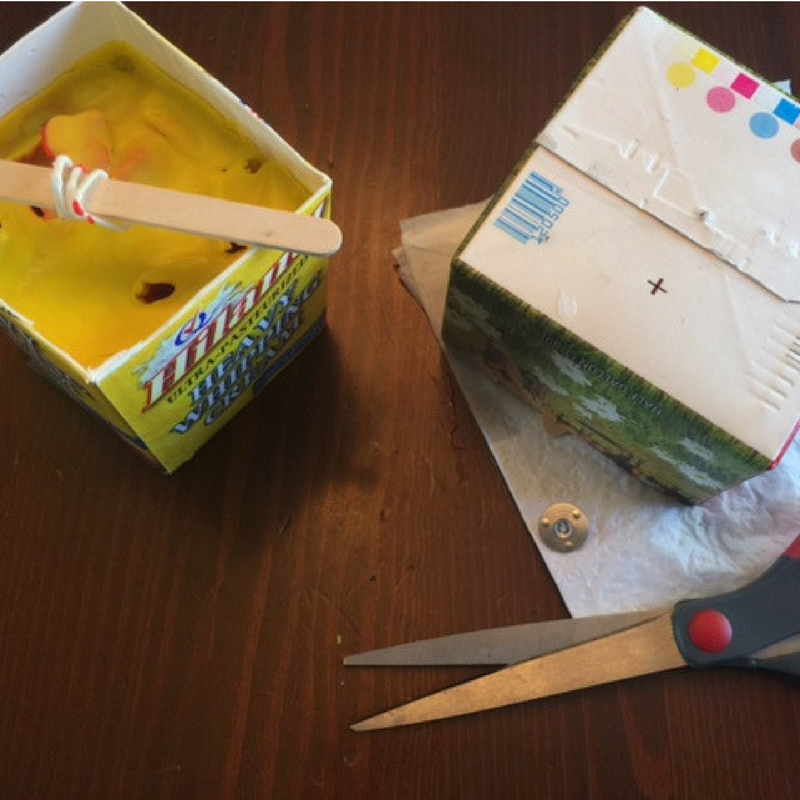 Turn each carton upside down and poke a hole in the bottom of each carton using a small nail or push pin. Feed a wick through the bottom of each carton and pull through until the metal washer is flush with the bottom. 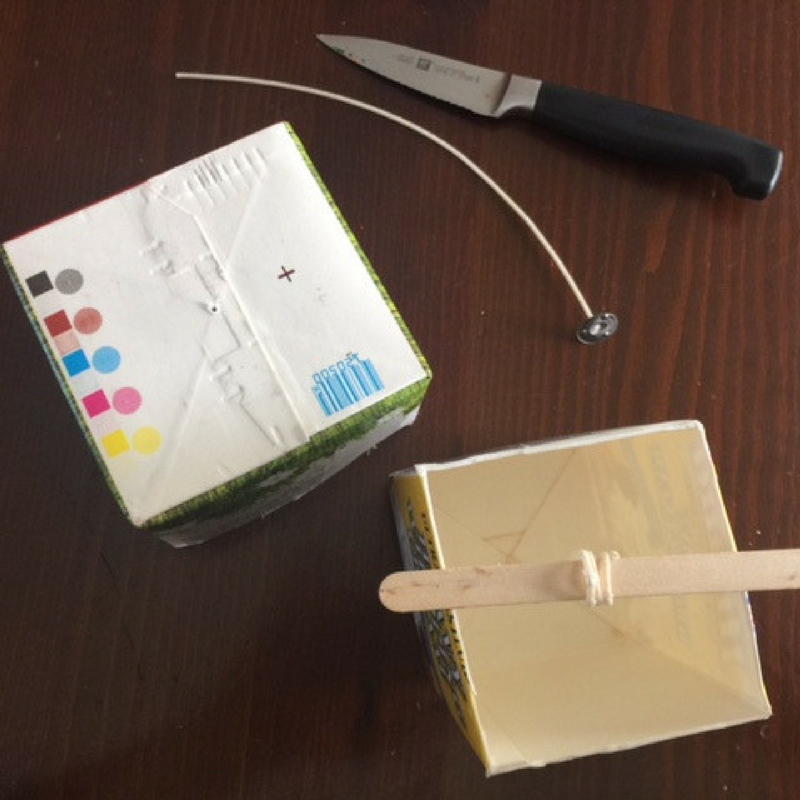 Wrap each wick around a craft stick or small wooden dowel until the stick or dowel is resting across the top of each carton. 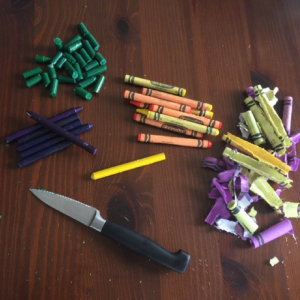 Unwrap six crayons of the same color and break them into small pieces. 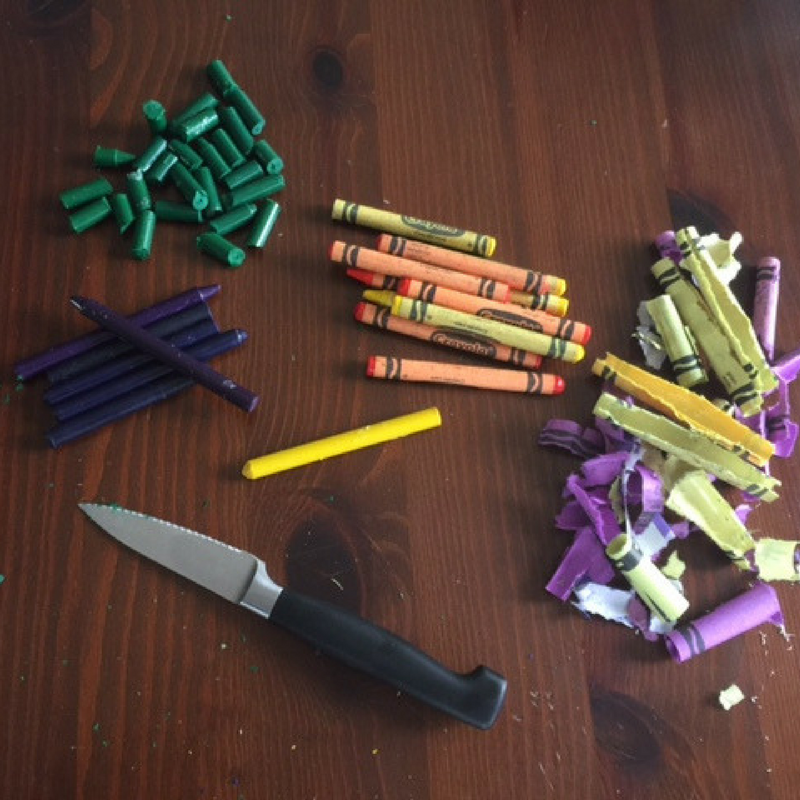 Tip: I used a knife to quickly cut the crayons up into small pieces. 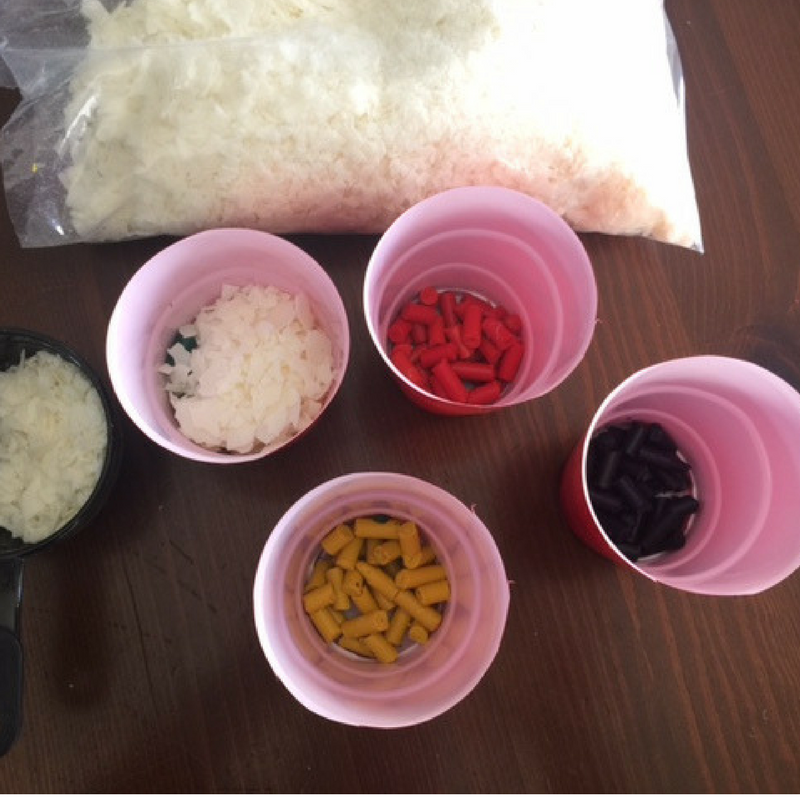 Repeat with each color you want to use. Place the broken crayons into separate plastic cups. Add one cup of soy wax to each cup. Microwave wax for two minutes. 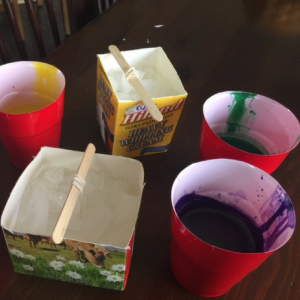 Stir the contents of each cup with a separate craft stick or wooden dowel. Repeat until the contents of each plastic cup are completely melted. Add crushed ice to each milk carton, about 2/3 full. 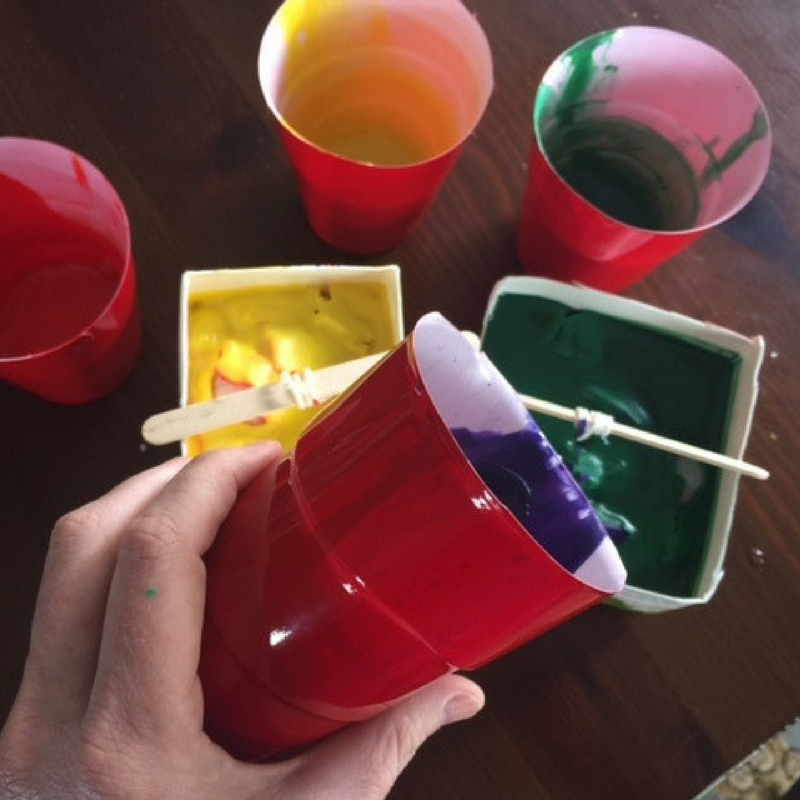 Pour the first color of wax over the ice, reserving about two tablespoons. Add the second color until the ice is covered. 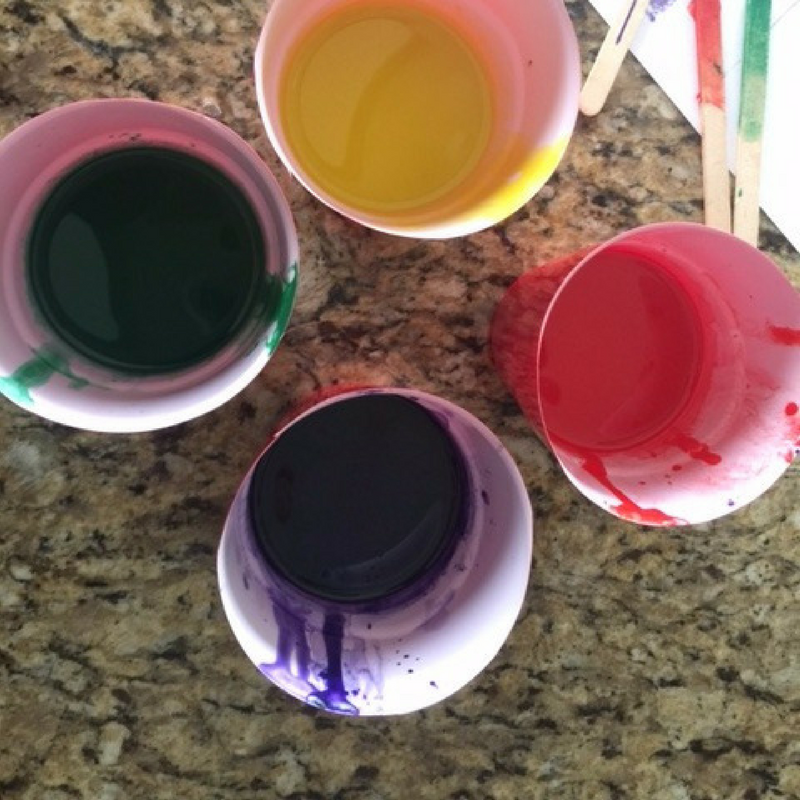 Pour the remainder of the first color on top. 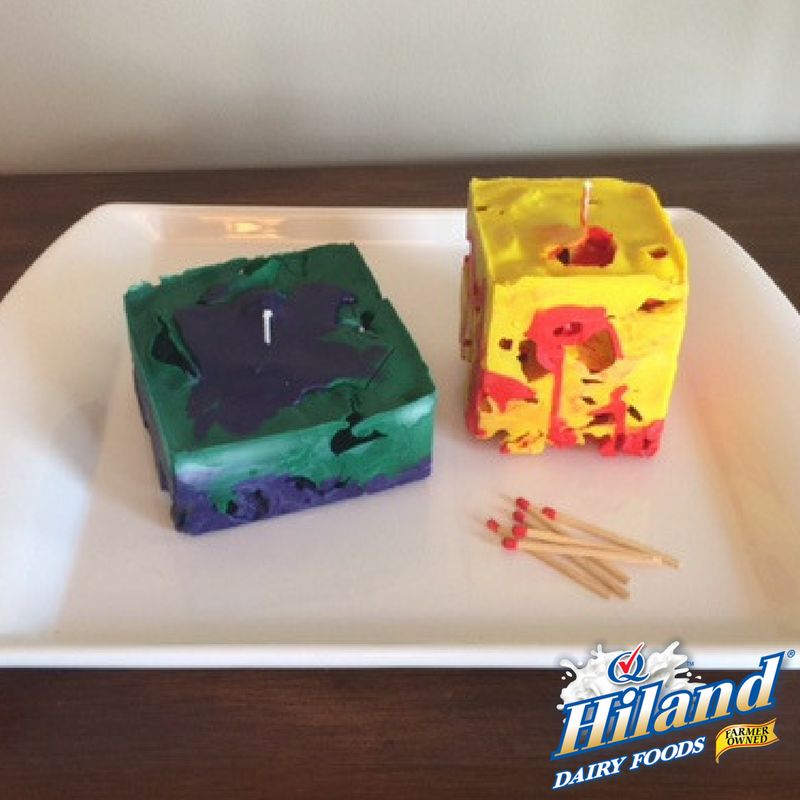 Allow the candles to set for two hours, then drain as much water from the candles as you can. Turn each carton upside down and cut the metal washer off of each wick. Carefully peel the carton off of each candle. Let the candles dry overnight, allowing the wicks to fully dry before burning. Place a candle on a candle plate, wrap with cellophane, tie with a bow and voilà! 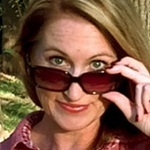 You have the perfect teacher’s gift.